If you’ve ever frantically Googled “what is vlookup?” or thought pivot tables were something Ross Geller invented, you’re not alone. Excel’s endless capabilities and many functions can make it feel impossible to learn. But you can’t just keep claiming proficiency on your resume and praying you’ll never have to use it. Now, you won't have to because we’re bringing you a way to master this powerful and versatile tool: The Excel Mastery Bundle by Excel with Business. The Excel Mastery Bundle is a user-tailored tutorial series on Microsoft Excel with business-relevant courses designed to teach you what you need to know and nothing you don’t. The Excel Mastery Bundle gives you everything you need to be an Excel pro, whether you’re a total newbie or you’ve been around the workbook a few times already. That’s because this training tool is completely personalized to your knowledge, career, and goals, so you can skip the formalities and get on a need-to-know basis with Excel. A smart filter backed by a machine learning algorithm figures out your comfort level with Excel and brings you right to the relevant modules. 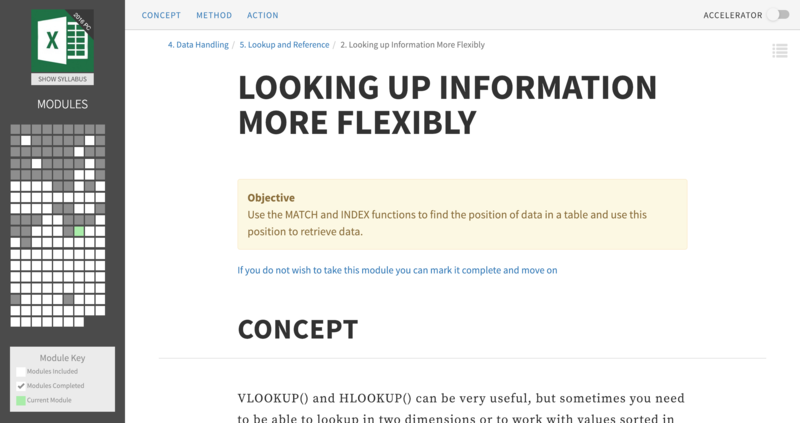 You can even specify whether you’re looking for complete mastery on a specific topic or just want the Cliffnotes. 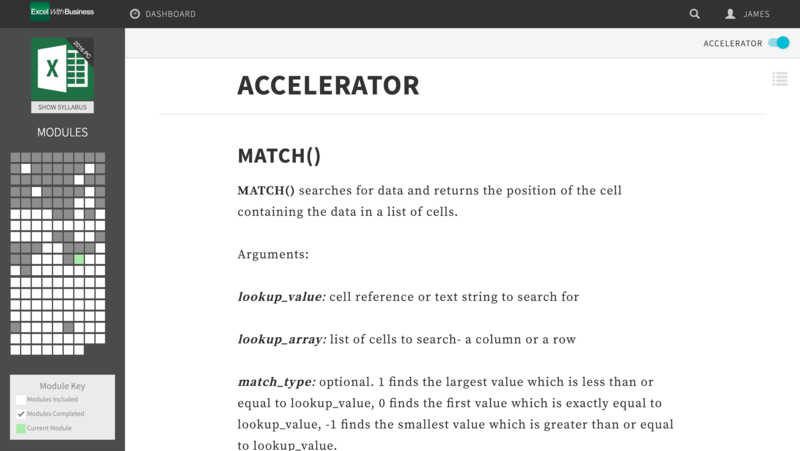 “The Accelerator” section is your handy little cram session. While this thorough nine-course bundle covers the basics for beginners, Excel is so much more than data entry. You’ll be able to learn intermediate Excel functions like popular formulas (whaddup, VLOOKUP), PivotTables, the art of the chart, and macros. OK, but maybe you already knew all that stuff. Level up even higher with advanced-level techniques, like automating your spreadsheets with macros and VBA (there are two great courses on this), so you can work smart, not hard. Wherever your knowledge gaps are, Excel with Business has you covered with courses like Microsoft PivotTable, Microsoft VBA, Data Analysis In Excel, and Excel For Accountants, all wrapped up in this neat bundle. We know just sitting through videos is a snoozefest. 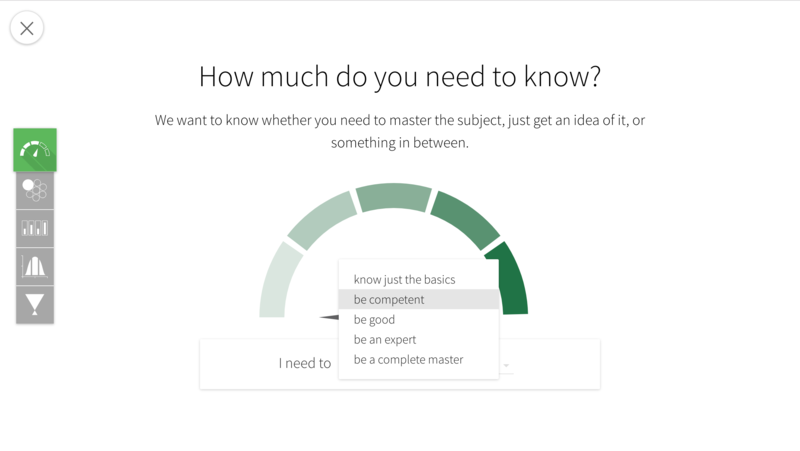 The Excel Mastery Bundle gets interactive with practice tasks and knowledge checks that help you learn by actually doing. 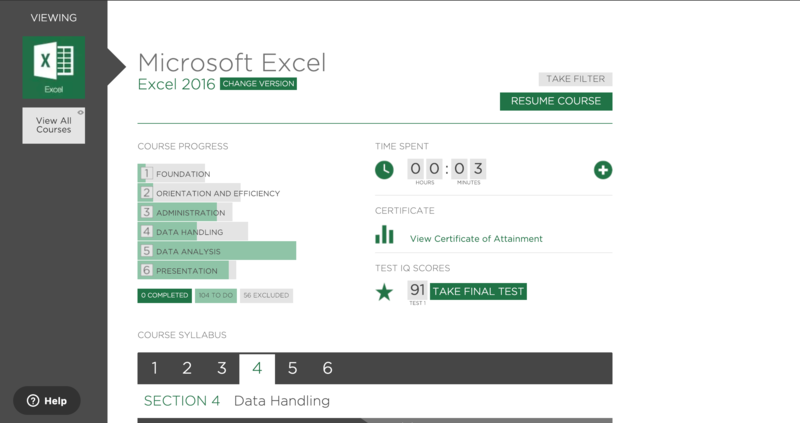 As you complete sections, you’ll be able to track your improvement, test your skills, and even acquire certificates, which can be used to prove you’re actually proficient in Excel. With over 1 million people taught, accountants, marketers, and office workers everywhere owe their Excel knowledge to Excel with Business. The tools you need to Excel (you knew the pun was coming) are just a click away. 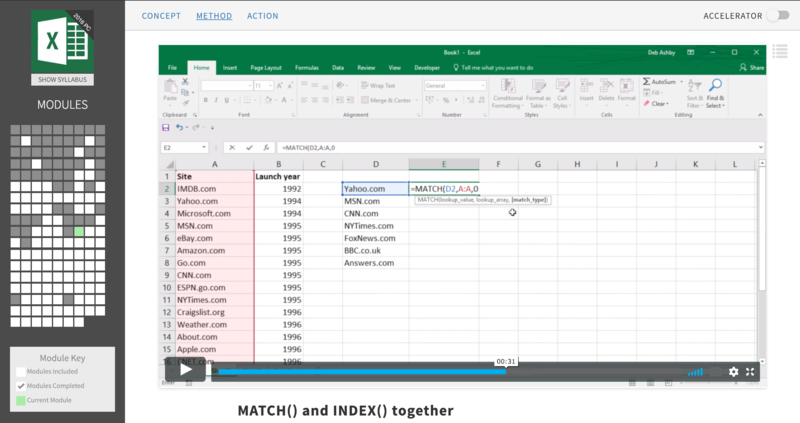 Don’t miss your chance to get lifetime access to the Excel Mastery Bundle for just $39. Unlock the secrets of Excel today! Other online learning academies may feature a footnote on Excel, but only Excel with Business puts Excel at the forefront of its mission and its name. Excel with Business heavily vets its authors so you don’t take a gamble with amateur teachers. Like a well-mixed bowl from Chipotle, Excel with Business guarantees fresh and consistent content (no one wants a bite of pure sour cream). Plus, Excel with Business constantly updates their courses and your knowledge with live weekly training by a certified Microsoft Office Expert. And they use data from past students to customize and improve their courses! Mastering Microsoft Excel is the closest you’ll get to being a real-life wizard. When you cast Excel-liarmus (love you, Harry), you’ll be able to automate tasks, track inventory, create project management charts, optimize accounting processes, handle mailing lists, and so much more. Why wait? Your acceptance letter from Excel with Business is here. 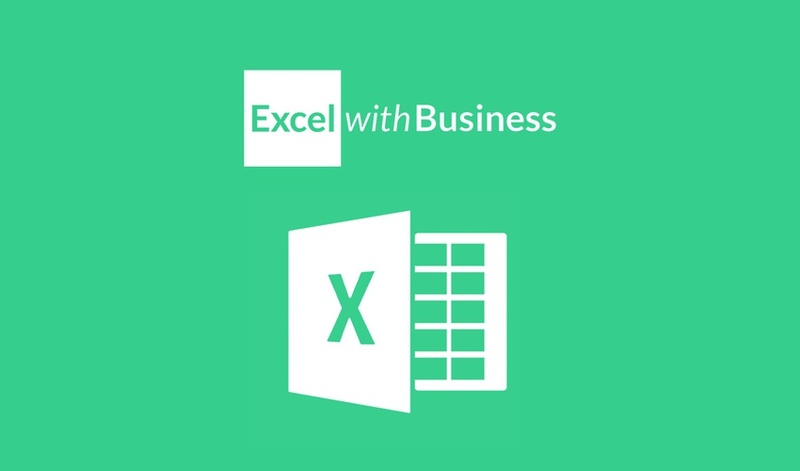 Get lifetime access to The Excel Mastery Bundle for just $39!